Did you know that you can borrow a backpack filled with hands-on activities for school-age kids? Our ScienceConnections Discovery Packs are STEM (Science, Technology, Engineering and Math) focused kits that come with books and activity sets to let kids explore different topics through hands-on learning. Discovery Packs are available at locations across the city. Find one near you today. 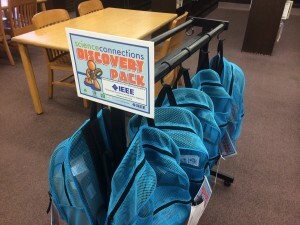 ScienceConnections Discovery Packs are made available through the Chicago Public Library Foundation and the generous support of S&C Electric Company in partnership with IEEE Chicago Section.